Carolyn Elefant writes in Above the Law a reminder that things are a changing’ — and that includes the small law office delivery system of legal services. 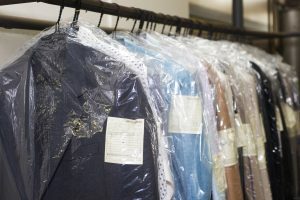 Lawyers can now add dry-cleaning to the growing list of casualties of the digital era, which includes carbon paper, fax machines, typewriters, bike messengers, and ugly suburban office parks. The demise of dry-cleaning is attributable to two primary trends. First, most workplaces — even formally stuffy Biglaw firms — tolerate more relaxed workplace attire that doesn’t require dry-cleaning or allow workers to telecommute several days a week so they can work from home in pajamas. Second, because the price of professional attire has declined, the economics of paying $10 to dry-clean a $40 dress no longer make sense. And while there are still plenty of affordable $2/garment dry cleaners, it’s questionable how much longer all of these stores can survive when with decreased volume. Similarly, over the past five years, many lawyers handling basic trust and estate or small business matters failed to recognize that the significant improvement of DIY digital tools combined with nearly universal consumer reliance on the Internet would result in a significant loss of business. But not all lawyers are intentionally blind to change. Some simply lack the time or the interest to connect the dots between broader social changes and their specific practice areas. Morale: find a lawyer willing to incorporate newer technologies and methods that meet YOUR lifestyle. If your lawyer refuses to text, email, have a decent website and invite DIY assistance to the project, find one who will!